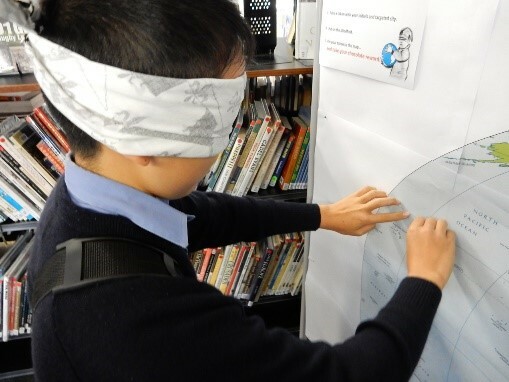 When Year 7 and 8 boys play their childhood game, blindfolded, there are many winners! 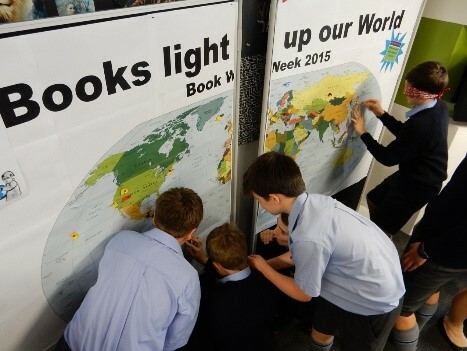 This week, we played Pin the Book on the Country as a lunchtime activity to raise awareness to the theme of Books Light up our World. It had the boys scrambling to the shelves to find a book written in, or with a setting in, a specific country and city. Atlases were consulted to find the right city and authors from other countries were noted. 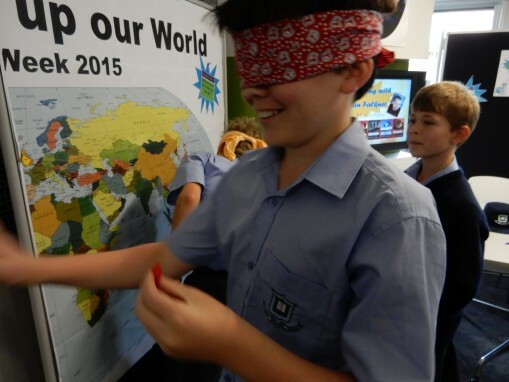 Then, blindfolded, and with plenty of encouragement, the boys pinned a book token onto the world map. 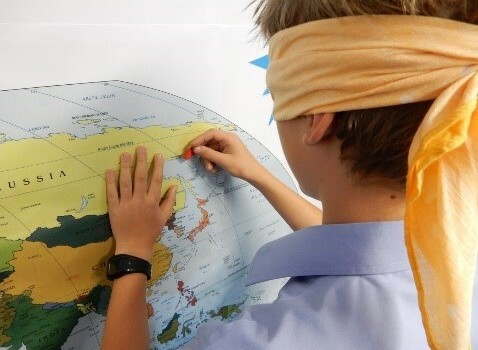 The World map was dotted with book tokens in unusual places across land and sea after plenty of shared conversations about where our books might come from, and what we could expect from their differences of origin. The results were amusing, fun and very competitive!